There were 515.67 million subscribers of mobile communication services in China as of the end of August 2007, growing by 1.40% on month and by 17.87% on year, according to China's Ministry of Information Industry (MII) on September 24. 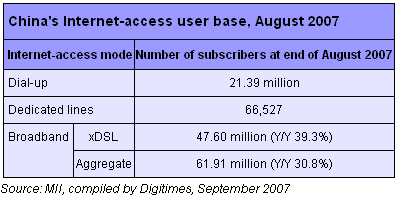 Also at the end of August there were 372.45 million subscribers of fixed lines in China, translating into a user density of 28.4%. Mobile phone subscribers in China sent 50.08 billion short messages in August, averaging 3.15 short messages per phone number a day. i must admit that what you say is 100% true. Most mobile users will be spammed a few times a month. Thats alot of sms if you take into consideration of the total size of the subsribers in china.